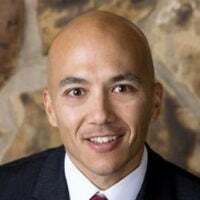 Michael Berry is deputy general counsel and director of military affairs for First Liberty Institute, a non-profit law firm dedicated to defending religious freedom for all. Friday, Dec. 15, marks the anniversary of the day our young nation ratified the Bill of Rights in 1791. Many today mistakenly interpret these religion clauses to mean something like, “Americans are tolerant of private religious conduct.” But mere “toleration” of “private” religious conduct was precisely what James Madison, a primary author of the Bill of Rights, was careful to avoid. He favored the protection of robust freedom. Yet years earlier, he had personally witnessed the supposedly tolerant Colony of Virginia imprison Baptist ministers because their beliefs were out of step with the predominantly Anglican colony. Such religious “tolerance” sent minority ministers to jail. 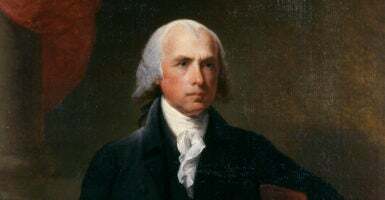 More fundamentally, Madison recoiled at the notion that exercise of religion was a gift from government to be merely “tolerated.” He saw it rather as a hallmark of a free society—an unalienable right endowed by a creator—that exists independent of government. The states ratified a revised version of Madison’s text as the First Amendment to our Constitution, and the first of our Bill of Rights. His gift to the fledgling republic was to reject the notion that individual rights, and pre-eminently religious liberty, were mere tokens bestowed by a beneficent state, replacing that view with the remarkable notion that these rights are inseparable from our humanity. In other words, the right of every person to enjoy religious liberty doesn’t exist just because the government says it does—and any government that attempts to dictate otherwise risks illegitimacy. That robust view of religious liberty served as a foundation for the remainder of what would become our Bill of Rights. On Sept. 25, 1789, Congress sent the proposed Bill of Rights to the states for ratification. Two hundred and twenty-eight years ago this month, the states ratified these guarantees of natural rights, embedding them into the DNA of our nation. From the preamble to the end of Article VII, the Constitution outlines how these people would form “a more perfect union” without abdicating their individual liberty to a monarch or a tyrant. The governed gave their consent to lend some, but not all, of their individual authority as human beings to a central government. For instance, while they would remain free to defend themselves individually, they would vest the authority for the collective defense of the new nation to a government that could raise an army. Thus, it is significant that after outlining the positive rights of the executive, legislative, and judicial branches of government on matters ranging from taxation to foreign relations, the Bill of Rights begins by negating the power of Congress—“Congress shall make no law … ”—and recognizing the inherent rights of the people. The reason for this is simple, revolutionary, and profound: Congress shall make no law because the people retain those rights articulated in the Bill of Rights by virtue of their humanity. While it was, and is, necessary to lend government a limited amount of individual authority “to provide for the common defense” and “to promote the general welfare,” we the people have never ceded the rights of the free exercise of religion, speech, press, assembly, bearing of arms, due process, and those rights preserved within the Bill of Rights. This was, and is, revolutionary. No nation had ever successfully undertaken to recognize, much less resolve, the tension between individual liberty and government as America did with its Bill of Rights. Yet, this tension is a delicate one whose safeguarding demands vigilance and care. Madison was right to be wary of a government that treats civil rights as government-issued. And, as the Colorado Civil Rights Commission’s treatment of Jack Phillips makes clear, so must we. The legacy of the Bill of Rights is this: What government did not create, it can neither bestow nor confiscate.